The founders of our nation were men and women of the Enlightenment who presided over a secular revolution, but at the end of the war, some of our newly-independent states began to establish state-supported religion, abolishing some churches and publicly financing others. 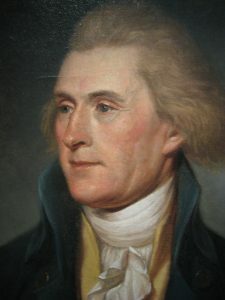 It wasn’t until the ratification of the First Amendment to the Constitution in 1790 which forbade the establishment of religion that the United States legally embraced the secularism of the revolution. The year 1790 is also significant among historians as the beginning of the Second Great Awakening. a religious revival that in part grew out of the First Amendment’s separation of church and state and opposition to the atheism of the French Revolution. Up to that time, most Americans were members of Congregationalist (from our New England Puritan heritage), Episcopalian (from our Church of England heritage) or Quaker churches. But beginning in 1790 and lasting until the 1830’s, the country saw a rapid growth in populist, evangelical Methodist and Baptist churches fueled by community-wide mass meetings. …The diffusion of instruction, to which there is now so growing an attention, will be the remote remedy to this fever of fanaticism; while the more proximate one will be the progress of Unitarianism. That this will, ere long, be the religion of the majority from north to south, I have no doubt…. Jefferson was prescient. During the nineteenth century, Unitarian and Universalist churches proliferated with each religion growing to over one million adherents. 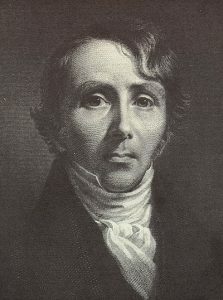 This growth is less likely attributed to Jefferson’s “threatening cloud of fanaticism” than it is to William Ellery Channing. Every year in May, UU’s in the Baltimore area celebrate Channing’s sermon on Union Sunday. Usually held in the same First Church Unitarian in Baltimore where Channing preached in 1819, this year, for the first time, Union Sunday will be held at the UU Congregation of Columbia. Join us May 6. It’s great to have Union Sunday at UUCC this year!